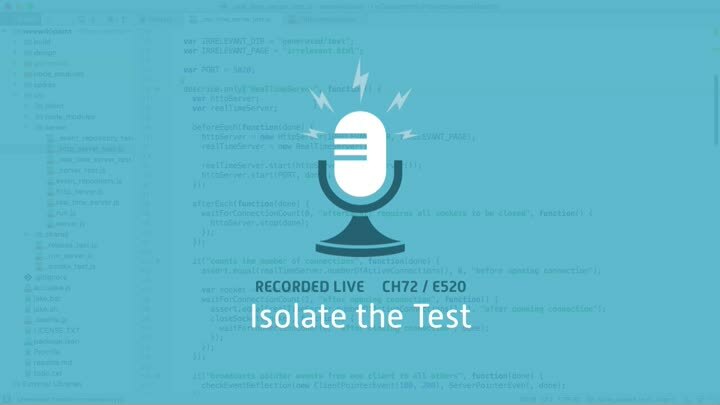 There’s no obvious reason for our tests to be failing (and passing) the way they are, so we need to isolate the problem. Our first step is to find the smallest number of tests we need to reproduce the issue—it’s two—and to bring them into the same test file. Then we get rid of all our other tests.